Concrete Polishing Contractor Sturgis, Mi. Commercial Painting Services is a Concrete Polishing Contractor that serves Sturgis, Michigan, and beyond. Our concrete grinding staff are skilled, dedicated, and professional polished concrete workers that focus on safety, quality, and completing projects to scope, as well as on schedule. 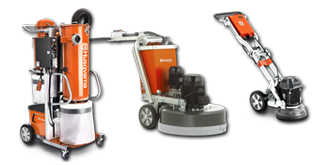 CPS uses only the best concrete grinding equipment that the industry has to offer (Husqvarna), and our concrete grinding machines are well-serviced and calibrated for precision polishing.